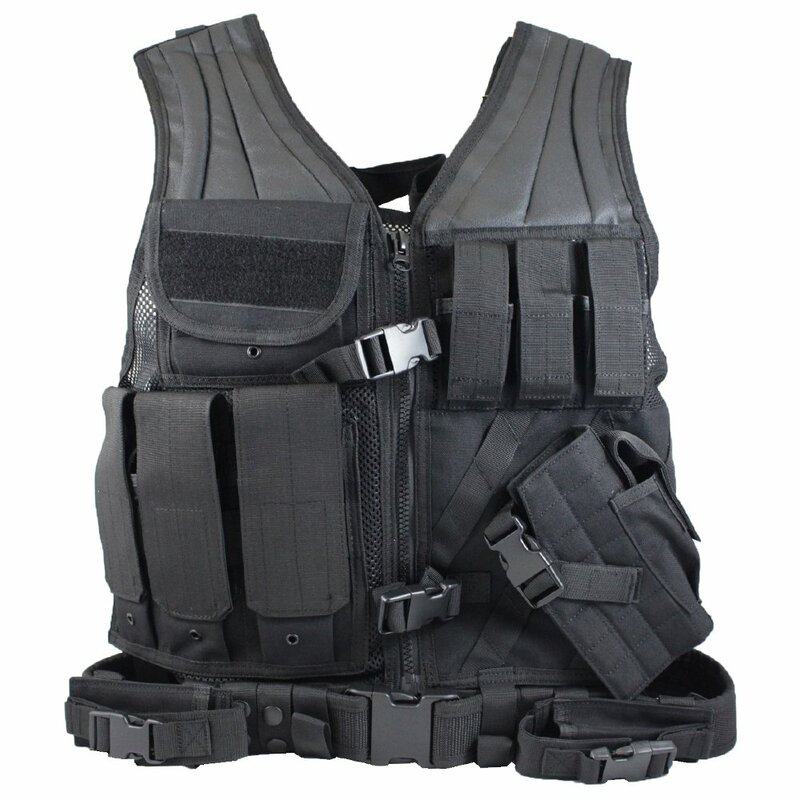 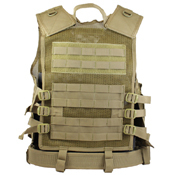 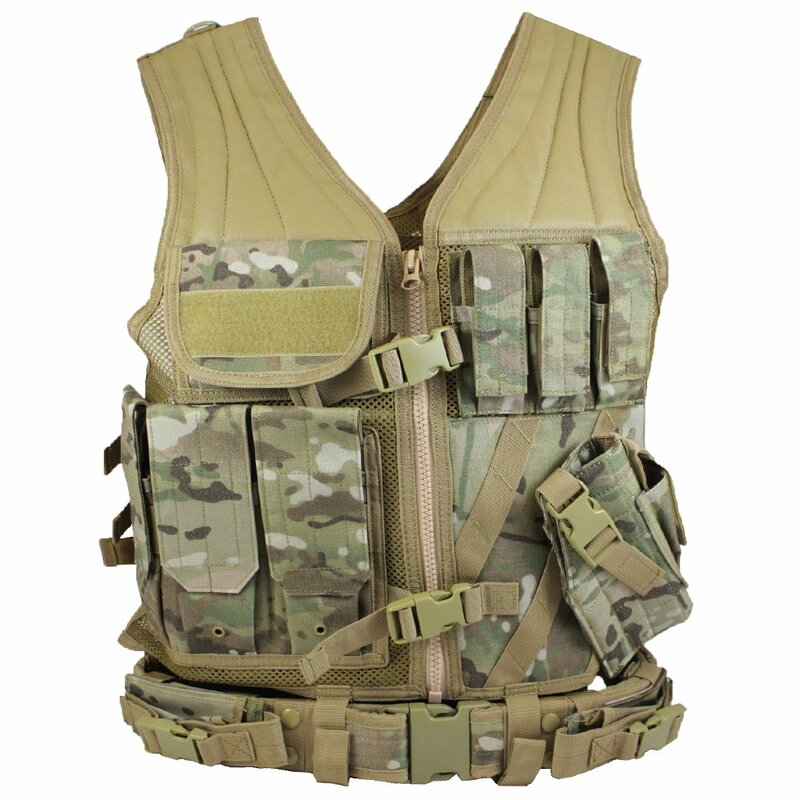 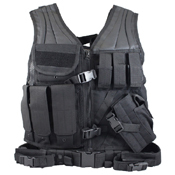 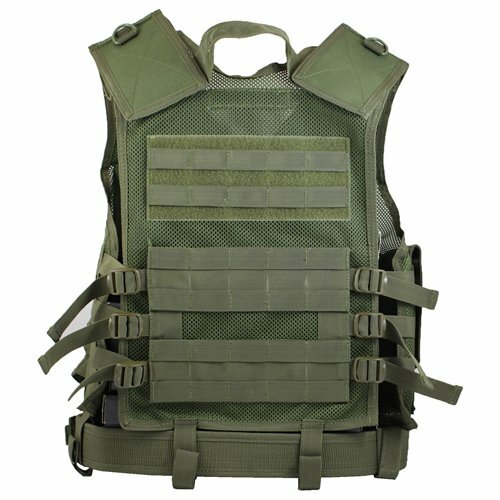 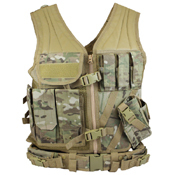 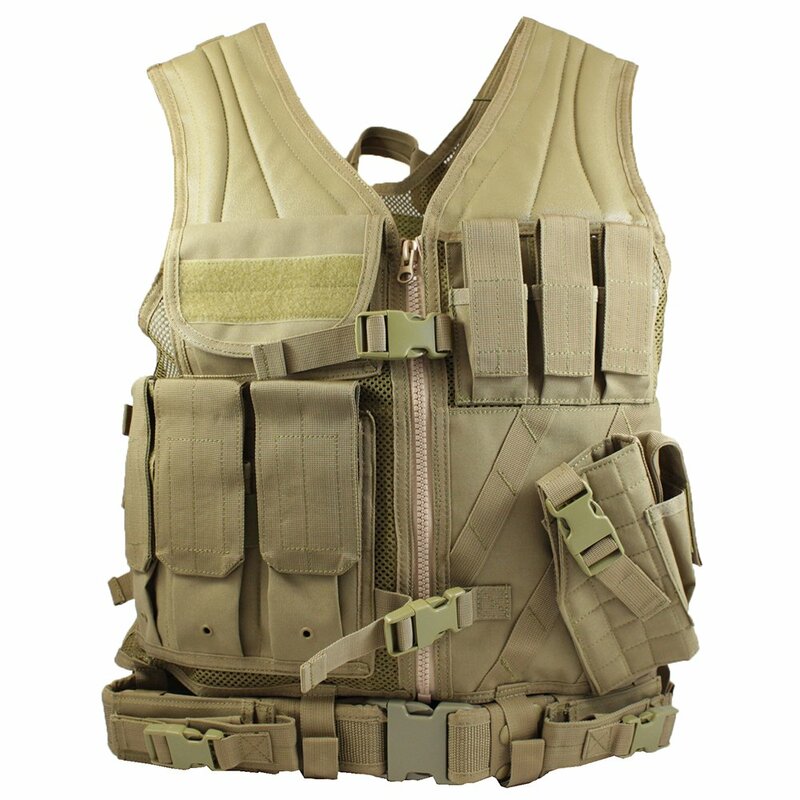 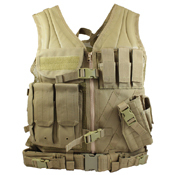 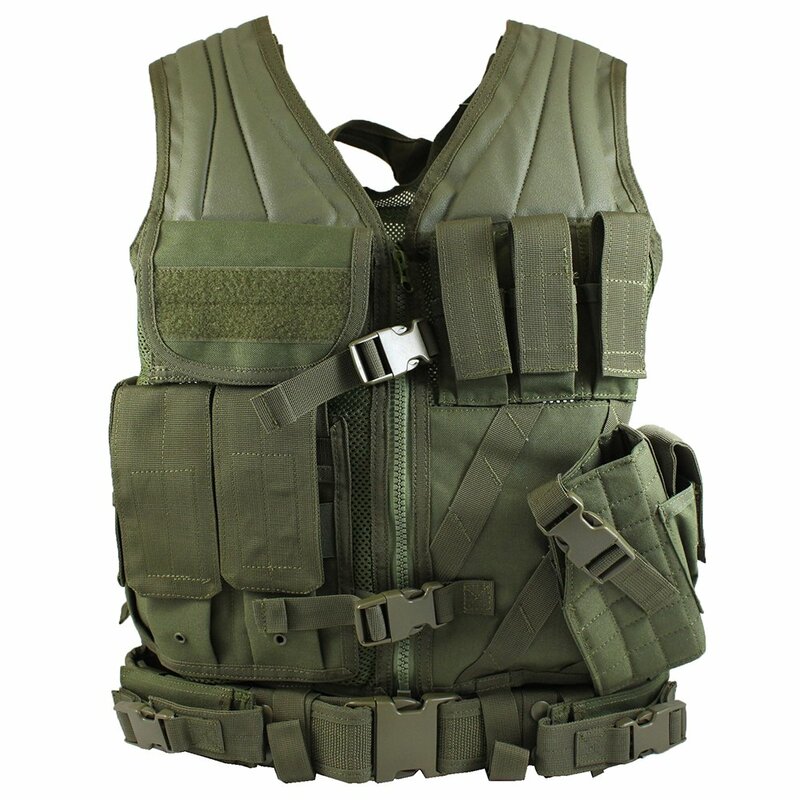 The Raven X Crossdraw Tactical Vest is constructed of breathable nylon mesh and is fully adjustable. 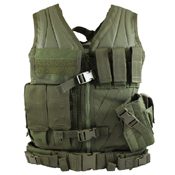 The front is equipped with hook and loop pouches for spare mags and ammo, as well as a pistol holster. 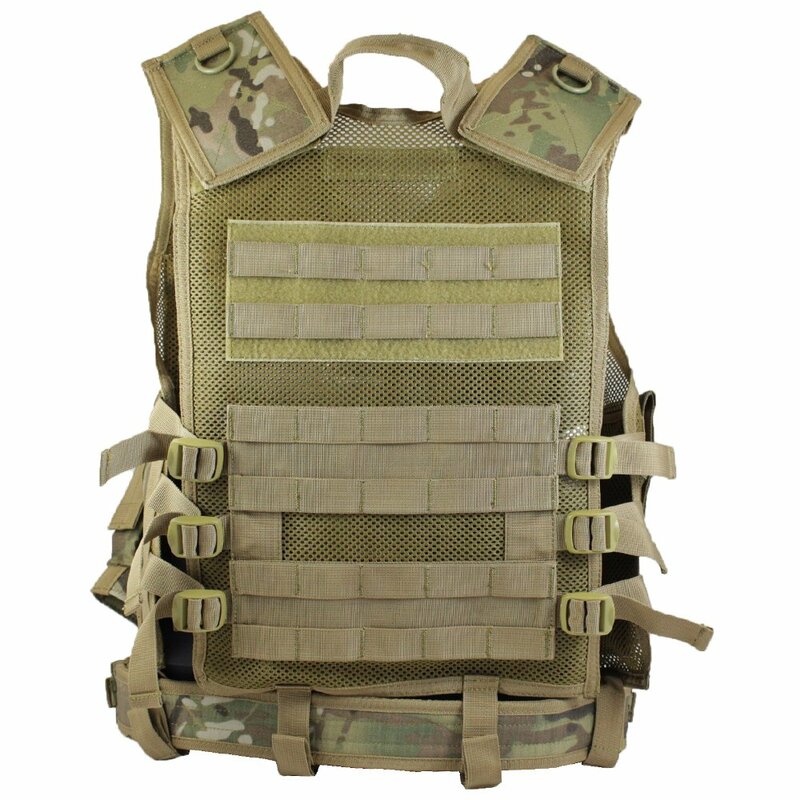 On the back, MOLLE webbing panels provides space for modular attachments. 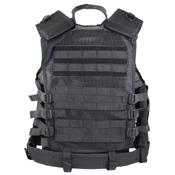 Measures 470 mm (18.5 in) x 584 mm (23 in). 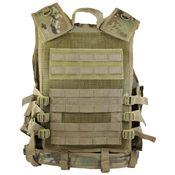 An acronym for Modular Lightweight Load-carrying Equipment, MOLLE is the load-bearing equipment system currently in use by most military units around the world. MOLLE rucksacks and packs all feature integrated webbing, allowing them to easily attach to one another.